The suggested quicker, picker-upper for your bathroom is not to spend an arm and a leg on fancy fixtures or elaborate vanities and mirrors, but just to buy a can of paint and voila! Instant transformation and it is not cost-prohibitive either. If you are handy with a paint can and brush, and your bathroom is small, well then there is a weekend project for you lined up. If you not a DIY-er and your bathroom is on the large side, your very best solution is to call upon an expert in house painter in Great Neck, New York area. Paint is the perfect option for the bathroom as you can change the color of that room on a whim or whenever you feel like opting for new accessories. You just can’t change about as easily when you are stuck with a tiled bathroom. Because most bathrooms tend to be on the moist and humid side from steamy showers or long-drawn-out baths, unless you routinely open a window or use a fan, you need to be concerned with mildew prevention. To that end, you should use a primer that repels against mildew prior to the paint job. After that primer is completely dry, you should have already picked the perfect hue for your bathroom. Although the color or color combos you choose are important, the finish for the paint is also important. The best finish for the bathroom is a semi-gloss because any paint containing gloss will seal in the paint color while likewise protecting surfaces against the inevitable water and steam found in the bathroom. This type of finish is also excellent for wiping down the walls or removing scuffmarks or handprints as well. For some, a bathroom is just a place to grab a quick shower and perform an efficient morning clean-up routine, but for others, a bathroom can become a paradise, especially if it is a master bath with a spa, special shower or other water luxuries like a beautiful soaking tub. Though your fantasy for the perfect bathroom might exist in your mind, or look good sketched on a piece of paper alongside the color chips you’ve gathered, in reality, the photos in those decorating magazines are not your home, and, sometimes it is difficult to fathom those colors in your home. And, of course, the size of your bathroom is important because special consideration needs to be made when selecting wall colors. Last year’s favorite bathroom colors were an array of dark tones such as darker hues of red, blue, green, and purple. 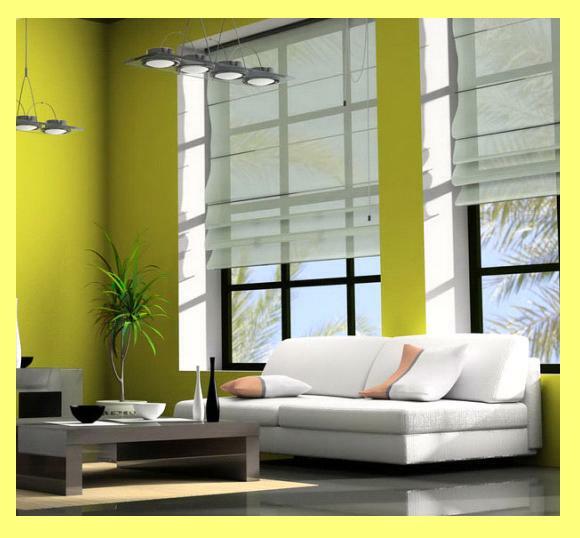 For larger rooms, those color trends, tended to lend regal and dramatic style for your tiniest room in the home. However, for the smaller bathroom, experts suggest that you eschew dark colors since they absorb light and make the space look and feel even smaller. Tops on the paint palette for this year are soft pastels like blue, green, purple, and peach, all colors that will reflect light and open up the room, whatever its size. These trending pale paint colors are representative of the feng shui designs that bring peace and tranquility to your space. By pairing these light wall colors with white or similar tile colors, you can create a serene atmosphere – perfect for creating an oasis-like atmosphere for your bathroom. Keeping with the theme of going lighter in your color selections for the bathroom, the use of white or light-colored tile designs for a back splash will provide a minor diversion from the monochromatic bathroom if you use colored tiles that are slightly darker shade than the paint color. This will produce an exquisite look in a small bathroom and will rival the most-regal larger bathroom. A good rule of thumb for selecting wall color based on the size of the bathroom is as follows: for smaller bathrooms, always choose lighter shades for the walls and tiles allow light to reflect off the walls and give the illusion of a larger space. The perennial top hues for your bathroom therefore include blue and green which give a relaxing and spa-like feel and to give your mini oasis a Summery feel year-round. While you’re at it, why not to give a relaxing and spa-like feel by pairing these soothing colors with a stark white contrast, like a bright-white vanity and accessories for a gorgeous and simple, near-tropical look? Many bathroom design experts suggest that white is the best and only color for a small bathroom, but if white just sounds too blah and boring for you, consider choosing a light-colored neutral color instead. A neutral color that works well with all other accessories, etc. in the room would be aqua or even light teal. One creative use of those two colors would be a light teal coat of paint on the walls with a darker mix of teal tiles in the shower will create an elegant appearance. Once again this year, vintage colors, like cream, ivory or ecru will trump the pale grays or even that work-with-any-color-scheme pinky beige known as greige. Along with a huge claw foot tub and lacy curtains at the window, the vintage look is a favorite for the girly-girl look as well when there are his and hers bathrooms in the home. 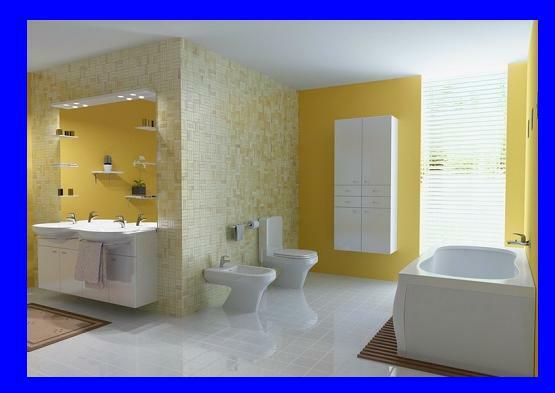 If you are lucky enough to have a larger master bathroom, the color options are more plentiful. With a larger bathroom, it can accommodate such dramatic hues as deep red, which can be accentuated with gold colored fixtures and accessories, a trending look this year and one that be carried off in larger bathrooms only. A world of change awaits you and your bathroom if you consider any of the colors above that will be sure to bring back the vitality to your bathroom. Whether you tackle the project yourself or enlist the services of an expert in house painting, a brand-new bathroom beckons you to give it a try.